What does well-being truly mean, and once we achieve it what’s next? There are a multitude of tools and paths we may use on our journey to complete wellness. Whether you’re using acupuncture, nutrition, exercise, or meditation, there is no one-size-fits-all formula. Let’s have a conversation and share stories of healing in order to make connections and reach higher levels of understanding. 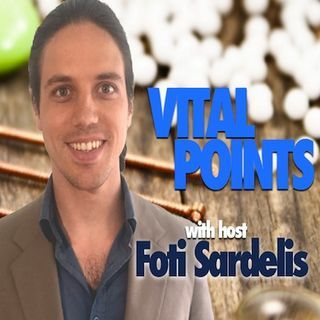 Foti Sardelis is the owner of Anthos Acupuncture & Herbal clinic in Birmingham Alabama founded in ... See More 2016. He holds a Bachelors in Philosophy, a Bachelors of Science and a Masters in Oriental Medicine . He is certified by the National Certification Commission of Acupuncture and Oriental Medicine, he’s a member of the American Association of Acupuncture and Oriental Medicine (AAAOM) and of the Association for the advancement of Oriental Medicine in Alabama (AOMA). He has experience with a wide range of health concerns including pain, fertility, stress, and allergies.